5.A trial order is ok, and a sample order is welcomed for the goods in stock. Yes, the rate can be fixed during whole order by contact. Welcome Contact Us and Come to Visit our factory anytime ! it contain herbal ingredients which protect and repair your face. it is convenient to carry in anytime and super moisturizing your hands. It was founded in 2006 which located in a never ending cosmetics field in Asian. Fully Hair Building Fibers Argan Oil hair serum care Loss Treatment for any hair types --for all hair types Argan oil is rich in vitamin E, phenols, carotenes, squalene, and fatty acids. 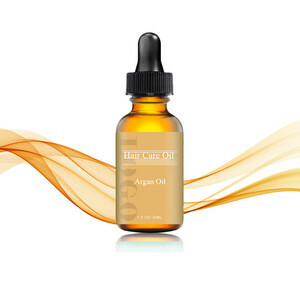 Argan oil hair serum is a luxurious elixir to restore over-processed hair damaged by chemicals and environmental free radicals - it also revives, hydrates and detangles hair, wigs and hair extensions. Ultra-light miracle argan oil leaves NO residue and No oil build up, only provides silky finish and brilliant shine. These two ingredients are critical for a healthy skin and argan oil shows the characteristics of being absorbed and reacting very easily when it is massaged over the skin. B ecause vitamin E is an important antioxidant, argan oil is capable of postponing the formation of wrinkles and signs of old age over the skin and removing the harmful free radicals from the body. B esides, argan oil moisturizes, feeds and strengthens the dry and brittle hairs by means of its rich ingredient of mineral and vitamin. 4. Leave in for 5 to10 minutes to penetrate the cuticles of the hair. 3. Free sample service All of our samples are for free. Our principle to success is to make customers realize their purpose and create fashion trend. 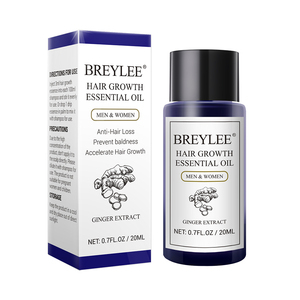 It reduces hair falls and stimulates hair growth metabolism by increasing oxygen circulation on the hair scalp. Regular use will improve the quality and texture of the hair. Gently massage the solution into the scalp for 10-20 seconds. Alibaba.com offers 2,142 serum treatment for hair products. About 77% of these are hair treatment, 2% are shampoo, and 1% are skin care serum. A wide variety of serum treatment for hair options are available to you, such as pure essential oil, compound essential oil, and rinse-off. You can also choose from acne treatment, face lift, and anti-aging. As well as from gmp, ce, and msds. And whether serum treatment for hair is free samples, or paid samples. There are 2,104 serum treatment for hair suppliers, mainly located in Asia. The top supplying countries are China (Mainland), Taiwan, and Japan, which supply 80%, 5%, and 3% of serum treatment for hair respectively. Serum treatment for hair products are most popular in North America, Southeast Asia, and Mid East. You can ensure product safety by selecting from certified suppliers, including 633 with Other, 427 with GMP, and 260 with ISO9001 certification.